It is one of the most powerful images in the history of rock music, one that has come to symbolize the wild pedigree of a form of music where anything can happen. This image is one that has burned its way into the consciousness of popular culture: Jimi Hendrix is on his knees as his Fender Stratocaster lays before him, shrieking in flames on the stage of the Monterey International Pop Festival. 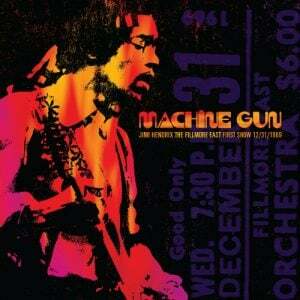 Jimi’s fingers flutter over the guitar’s body, urging the tendrils of fire higher as the instrument is consumed. But the act of burning a guitar was far from the only combustion ignited by Jimi Hendrix in the minutes that led to the climax of this performance. On that historic Sunday evening, Hendrix served notice to the world that “pop music” had been reinvented, its course altered to a bold new path – one that Jimi Hendrix saw clearly. 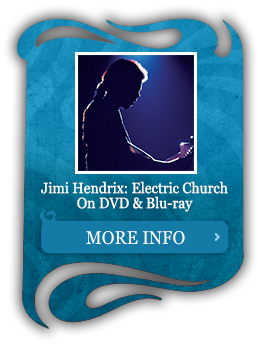 But what path had led Hendrix to the stage at the Monterey County Fairgrounds on June 18, 1967? After journeying to England with Chas Chandler on September 24, 1966, Jimi Hendrix and his new manager concocted a remarkable musical formula by mixing Hendrix’s own explosive creativity with the fluid drumming of Mitch Mitchell and Noel Redding’s guitar-based approach to the bass guitar. The result was The Jimi Hendrix Experience, and by early 1967 they were clearly a band that had the potential to change rock music forever. But they needed the opportunity to make it happen. It was a time when the rock world – and London in particular – was growing fascinated with guitarists as rock heroes. So when Jimi began performing in England and at select European dates, word spread quickly of the hot new American guitarist based in London. And quite naturally this news was of particular interest to an elite segment of England’s population: the other guitarists in British rock bands. 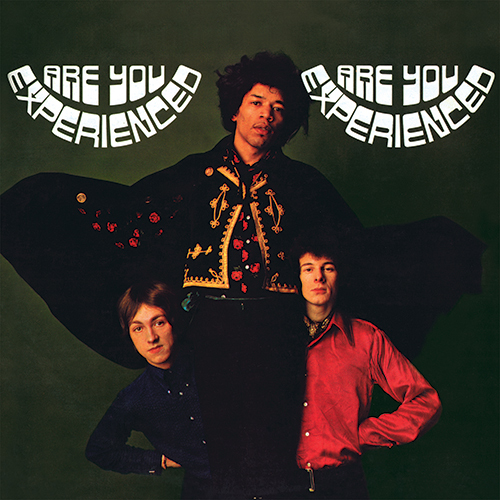 When The Experience launched into their sets in one of the hip London clubs they frequently played in, one can imagine small groups of British guitarists huddled in dark corners, their faces growing paler as they realized what they were up against with each note Jimi fired from his Strat. Simply put, Jimi Hendrix quickly scared the hell out of just about every rock guitarist in England. For The Who’s Pete Townshend, The Experience’s devastating power was based a little too close for comfort. The Who’s management team, Kit Lambert and his partner, Chris Stamp, immediately saw the potential of Hendrix. Late in 1966 they persuaded Jimi’s own management team of Chandler and Michael Jeffery to sign Hendrix to their vision of a new Polydor-sponsored label to be called Track Records. 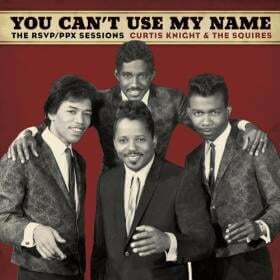 The lead artists on Track would be The Who and The Jimi Hendrix Experience. To the managers, it made perfect commercial sense to have both bands play on the same bill. The Who’s Townshend soon found himself in the unenviable position of trying to win over a crowd that had just been experienced. “So he went on, and he did his thing. He knocked the amplifiers over, he set his guitar a-light – he practically smashed it up – he got feedback together, and he played in his own inimitable way. Townshend’s feelings of guitar inadequacy would not be soon forgotten. But while The Jimi Hendrix Experience were blasting out a name for themselves in Europe, America was a much bigger – and more difficult – market to break into. What Chandler and Jeffery needed was an opportunity to present The Experience where Hendrix’s astonishing talent could make the biggest possible impact. In January of 1967, on the West Coast of the United States, the groundwork for that opportunity was being laid. Alan Pariser was a wealthy young man, heir to the Sweetheart paper fortune and a fixture on the Hollywood scene. Pariser had attended the 1966 Monterey Jazz Festival at the fairgrounds to the north of San Francisco, and the feel of that annual summer event was one that Pariser felt sure could be transferred to the rock and pop world. What Pariser needed to help bring his vision into reality was someone experienced with the music business. While Pariser himself had successfully staged a benefit concert in the fall of 1966 with bands like The Doors and The Byrds, the idea of staging a full multi-day festival was one that cried out for a music industry veteran. That veteran turned out to be Benny Shapiro. Shapiro had an impressive resume, forged by representing artists that spanned the pop and jazz worlds. Shapiro’s clients included names like Peter, Paul, & Mary and Miles Davis. In his capacity representing jazz artists, he became a well-known figure in the Monterey Jazz Festival crowd. Pariser approached Shapiro with his own Monterey idea, and the two struck up a partnership. The result of this partnership was the birth of the Monterey Pop Festival – although by the time the concerts were staged, neither Pariser or Shapiro were still in charge of the very event that they had conceived. In January of 1967, having raised roughly $50,000 in startup funds, Pariser and Shapiro hired Derek Taylor to act as press agent for the festival. Taylor’s resume was even more impressive than Shapiro’s, with his publicity clients ranging from The Beach Boys and The Byrds all the way to the summit of rock stardom in 1967 – The Beatles. 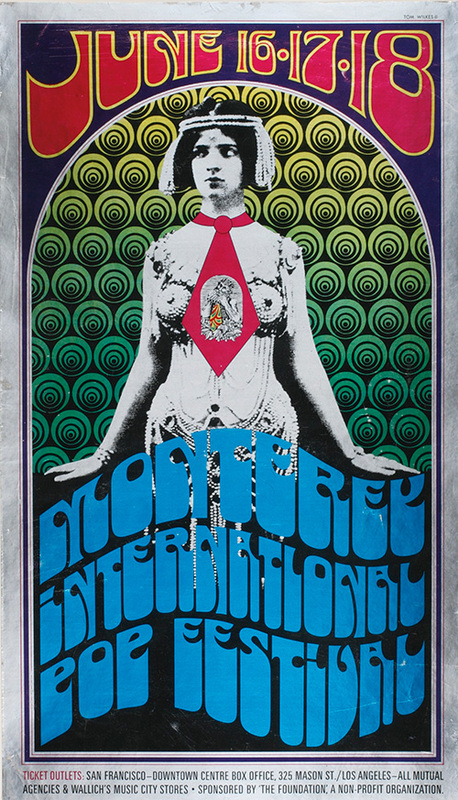 With Taylor in place, the organization of the Monterey Pop Festival began to take form. A deposit booked the fairgrounds and the task of booking bands began. 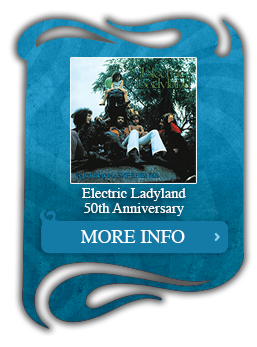 But while artists like Ravi Shankar (the first musician signed to appear), Quicksilver Messenger Service, the Paul Butterfield Blues Band, Jefferson Airplane, and the Grateful Dead were fairly quickly signed to perform, what the festival organizers needed was some headlining talent to ensure the fairgrounds were full of concertgoers. The Mamas and the Papas were, at the time, hugely popular. With the biggest of the rock bands – The Beatles and The Rolling Stones – off the concert trail, the romancing of The Mamas And The Papas to play the festival seemed like a sound business decision. And besides, the band’s dreamy California attitude seemed perfectly in synch with 1967’s blossoming atmosphere of peace and love. When Alan Pariser made his overtures to The Mamas And The Papas’ John Phillips, he couldn’t have imagined that, instead of peace and love, he was running straight into a realm of smart, cutthroat music businessmen merely cloaked in hippie garb. Phillips saw Monterey as a great deal more than simply an opportunity for his band to perform at a festival – he saw the big picture of the Monterey Pop Festival’s potential impact. Phillips discussed his feelings with Lou Adler. Adler was more than just the producer of The Mamas And The Papas – he was one of the biggest powers in the California music industry. Adler had created Dunhill Records with money borrowed from ABC Records and proceeded to craft hit after hit. He then sold the company to ABC Records for a huge profit. Phillips and Adler decided to take over the festival and make it a nonprofit event. To make the coup succeed, Adler and Phillips raised $50,000 to buy the dates from Pariser, whose title was reduced to co-producer. Shapiro was eliminated from the event entirely. As the California spring edged toward 1967’s Summer of Love, Adler and Phillips arranged for the festival to be filmed. ABC Television came up with $250,000 for the rights, and director D.A. Pennebaker inherited the project after Bob Rafelson – creator of the TV series for the Monkees – dropped out. Adler and Phillips also created a high-profile board of directors. The board was made up of some of the biggest names in music, both those who played instruments and those who managed the musicians. Among the artists involved were Smokey Robinson, Mick Jagger, Brian Wilson, Paul Simon, Johnny Rivers, and Paul McCartney. The businessmen included The Rolling Stones’ manager, Andrew Loog Oldham. 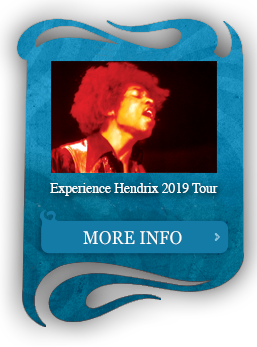 When Lou Adler contacted Oldham about booking the festival, Oldham had one suggestion: book The Jimi Hendrix Experience. When John Phillips contacted McCartney, the answer was the same. Both Oldham and McCartney had witnessed the power of The Experience in person, and the word of two men so powerful in the rock world ensured that an invitation for The Jimi Hendrix Experience to perform at Monterey would go to Chas Chandler and Mike Jeffery. 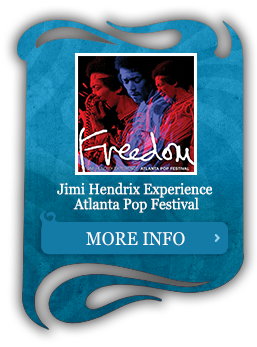 The Jimi Hendrix Experience was originally scheduled to perform on the first night of the festival, June 16, 1967. The Experience would have provided the most aggressive music in a lineup that also featured The Association, Buffalo Springfield, the Grateful Dead, Laura Nyro, Lou Rawls, and Simon and Garfunkel. Tickets for the evening show were $6.50 each. 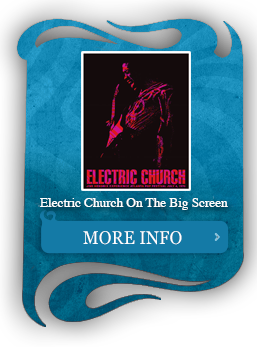 But, as the ticket brochures noted, “Program Subject to Change Without Notice.” By the time the festival weekend rolled around, Hendrix had migrated to a slot on the Sunday night bill – among the final artists to perform at the Monterey Pop Festival. Not that many who planned on attending the concerts really cared much about when The Experience was going to play. While Jimi had been building his reputation in Europe, in the United States he was at best a rumor. 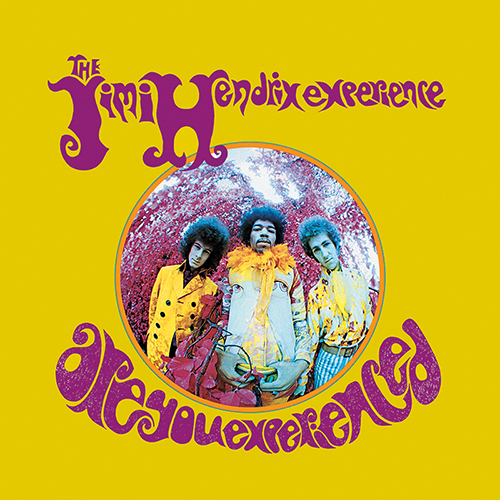 The first Jimi Hendrix Experience album, Are You Experienced, was unleashed in England on May 12, hot on the heels of the band’s third single, “The Wind Cries Mary” b/w “Highway Chile.” While the LP quickly rocketed to the top of the British charts – blocked only from the number one position by The Beatles’ Sergeant Pepper’s Lonely Hearts Club Band – in the United States The Experience had found a chillier reception. Taking “Hey Joe” from the a-side of the first British single and “51st Anniversary” from the b-side of the second, Warner Brothers cast the first U.S. Experience single into the pop charts on May 1 – and watched it sink into oblivion. 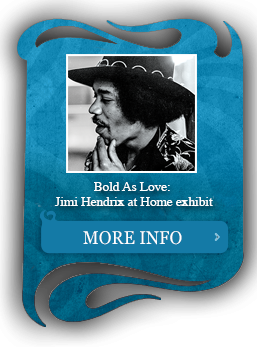 As Hendrix jetted back to the United States for the first time since he had accompanied Chas Chandler to Europe less than a year before, it must have been with an awareness of the potential significance of the Monterey show. But after two stellar shows at London’s Saville Theatre days before, when Jimi landed in New York on June 13 he must have had ample confidence that he and the band were up to the challenge. After a couple of days revisiting his old Greenwich Village haunts of the year before – and making time to see Richie Havens and The Doors – Hendrix and company flew across the United States, ready to try and make the big splash that was crucial to success in the American market. 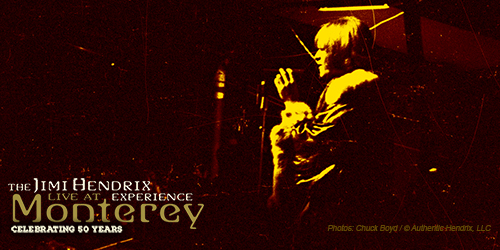 Not that The Experience were the only band counting on the Monterey International Pop Festival to make things happen. Janis Joplin and her band, Big Brother and the Holding Company, were not filmed during their set on the festival’s second day after manager Julius Karpen – who did not trust Lou Adler – refused permission for the cameras to record Joplin’s performance. Janis herself realized that Karpen had made a huge error in judgment, and, in tears, begged John Phillips and Adler for another chance to perform – this time with the cameras running. The two men agreed, and Joplin’s filmed performance of the gut-wrenching “Ball and Chain” helped elevate Janis to stardom and was one of several unforgettable moments from the final concerts of the festival’s third day. The festival itself seemed blessed from the moment the gates opened for the first concerts on Friday, June 16. Stage manager Chip Monck had managed to beat the clock, completing the stage’s construction with just a few hours to spare. The fairgrounds were decorated with banners and balloons, and booths selling food and crafts were scattered about the fairgrounds. Even the weather cooperated over the course of the weekend. The growing word-of-mouth buzz about the festival accounted for nearly 30,000 people showing up that first night – for a concert venue that held 7,000. Over the course of the weekend, it is estimated 200,000 people experienced the Monterey vibes – either by attending one of the five concert programs or by just hanging out in the area. And much to the relief of Monterey Police Chief Frank Marinello, the huge crowd was remarkably peaceful. Peaceful could also characterize much of the music that led up to Sunday evening’s program. Friday evening’s lineup was Simon and Garfunkel, Eric Burdon and the New Animals, Johnny Rivers, Beverly, Lou Rawls, The Paupers, and The Association. Saturday’s matinee featured Electric Flag, the Steve Miller Blues Band, Quicksilver Messenger Service, Paul Butterfield Blues Band, Al Kooper, Country Joe & the Fish, Big Brother and the Holding Company, and Canned Heat, while Saturday night saw the performances of Otis Redding backed by Booker T. and the MGs with the Mar-Keys, Jefferson Airplane, Laura Nyro, the Paul Butterfield Blues Band, The Byrds, Hugh Masekela, and Moby Grape. Sunday afternoon was devoted to a lengthy performance by India’s sitar virtuoso Ravi Shankar. All of which led up to Sunday night’s closing concert: The Mamas And The Papas, the Grateful Dead, Buffalo Springfield, The Group with No Name, Big Brother and the Holding Company, Blues Project, and two bands from across the ocean – The Who and The Jimi Hendrix Experience. While the lineup was clearly set, the running order of who would perform when was open to debate. And there was most definitely some discussion about this little matter. The Who’s Pete Townshend had learned his lesson well from sharing the bill with Jimi Hendrix back in England. He knew that trying to follow one of Jimi’s sets was nearly impossible, and was determined that The Who would perform for the crowd, D.A. Pennebaker’s six cameras, and Wally Heider’s 8-track remote recording truck before The Experience took to the stage. In a small musician’s room beneath the stage, The Rolling Stones’ Brian Jones, Janis Joplin, Eric Burdon, and John Phillips watched as Townshend informed Hendrix that The Who would not follow The Experience on stage. Hendrix begged to differ. Perhaps Phillips could sympathize with Townshend’s plight, for Phillips himself had already seen Hendrix play back in his scuffling Greenwich Village days and again in England after Chas Chandler had discovered Jimi. 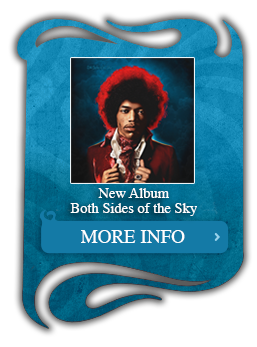 Eventually Phillips settled the argument between Hendrix and Townshend with the toss of a coin – Townshend won, and The Experience would follow The Who. Jimi had been standing above Townshend, perched on a chair and riffing away on a Stratocaster. Hendrix stepped down from the chair, and looked his fellow guitarist in the eye. The Who took to the stage after being introduced by Eric Burdon, and lived up to their explosive reputation. Their set climaxed with a vicious rendition of “My Generation,” accompanied by explosions and the destruction of the band’s equipment. When the sound finally stopped, the audience sat stunned. After three days of fairly pleasant songs, the smoke that hung in the air and the debris that littered the stage made The Who’s performance a shocking anomaly in Monterey’s environment of peace and love. Jimi Hendrix had watched The Who’s pyrotechnics from the side of the stage. And rather than grow intimidated by what he witnessed, Hendrix’s pre-concert intensity grew. As the Grateful Dead played immediately after The Who, Jimi Hendrix and The Experience prepared for their crucial performance. 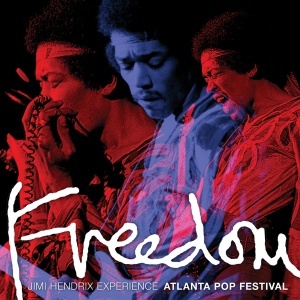 Thousands of people without tickets were allowed into the arena as the last concerts were performed, ensuring that The Jimi Hendrix Experience would play for the largest crowd of the three days. At last, it was time for Jimi Hendrix to make history. The Jimi Hendrix Experience was introduced to the Monterey International Pop Festival by Jimi’s friend, Brian Jones of The Rolling Stones. Almost immediately a ghostly red light surrounds Jimi Hendrix as he stands on the Monterey stage, backlit in a crimson halo. 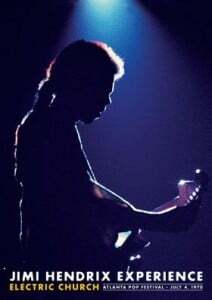 A movement of his arm and the relentlessly percussive solo guitar intro of “Killing Floor” rockets from Jimi’s Marshall amps, enveloping the thousands that sit before him in a dense cloud of sound. As Mitch Mitchell cracks out a staggering first volley on his drums, Noel Redding’s bass thunders in to urge the song along. 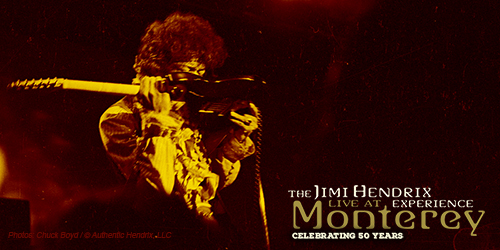 The lights come up, and now the Monterey crowd can clearly see Jimi in his most flamboyant splendor. Hendrix bears down on his Stratocaster, clad in red pants, a ruffled orange shirt, a jacket of rainbow colors, a bright orange boa with rustling feathers, the trails of his headband drifting through the air behind him. As Jimi roars through the old Howlin’ Wolf tune, he tosses in his first guitar stunts from the bag of tricks he earned working years of small club gigs. A raised arm here over a long sustained note, a dramatic elbow swipe down the fretboard there. Just moments into the set and already the crowd is realizing they’re never seen anything like what they are now witnessing. 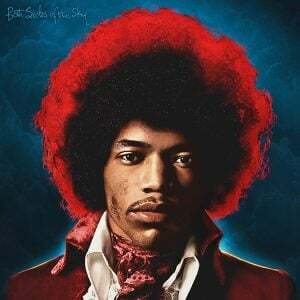 After warming up with “Killing Floor,” Hendrix and company are ready to move into material from the first Experience album – an LP that was already out in Europe but would not be available in the States for another two months. The song rides in a billowing cloud of feedback, and Jimi launches into the song’s solo with a riveting note impossibly sustained before demonstrating how to craft a brilliant solo while playing the guitar between your legs. At the song’s conclusion Jimi asks for, “one second to get down to business.” He removes the jacket and boa, and puts the guitar back on clad in a less-cumbersome and slightly more conservative ornate, black vest over the orange shirt. Hendrix hammers out the opening chords to Bob Dylan’s “Like A Rolling Stone,” then he, Mitchell, and Redding bring down the volume so Jimi can address the crowd. As he starts to introduce the song, though, one of the more endearing moments of Jimi’s career is caught on film as he stops in mid-introduction. Jimi backs away from the microphone stand, grinning as he unleashes the short volley of notes that he just had to get out of his system before he could go on talking about the song. As the band progresses through the Dylan tune, it is obviously that Jimi Hendrix has totally captivated the crowd. The aggressiveness of Jimi’s playing is balanced by his charm. Things are going so well that, in the midst of “Like A Rolling Stone,” Jimi even directs a self-deprecating comment to a member of the audience. As if to show how he planned to re-invent the blues, Hendrix next chooses to play B.B. 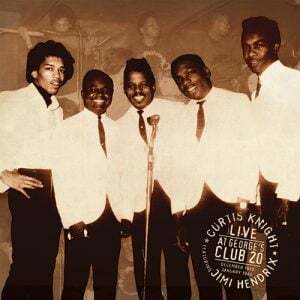 King’s venerable “Rock Me Baby.” Jimi even offers a quick demo of the standard version of the song before The Experience get down to their own interpretation – blues at hyperspeed, performed with a roiling ferocity. “Hey Joe” may have bombed as a single in the U.S. the month before Monterey, but it was one of Jimi’s favorite songs and the next item on the set list. The song’s slower pace affords Jimi the opportunity to add beautiful chordal fills and single note runs to the basic construction, letting the crowd focus more on musical ability than pure showmanship. It was an apt demonstration of the constantly evolving genius of Hendrix’s rhythm guitar work and, having proven the point, Jimi proceeds to play nearly the entire first solo plucking strings with his teeth and the second solo with the guitar behind his head. The pace picks up again with the quick blast of “Can You See Me” – riding a strong instrumental surge as Redding and Mitchell push the song’s mid-section – before easing down to “The Wind Cries Mary” as Jimi offers a serious, delicate rendering of the song. It drifts away into the night, Jimi closing the song with gentle chords as the lights outlining his form from behind fade into darkness. These three minutes of tranquility bestowed upon the crowd must have been most welcome after the sensory overload of The Experience’s sonic assault – but Jimi is far from finished. 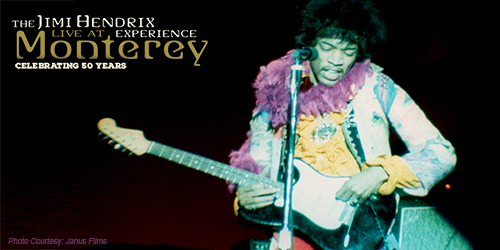 A performance of “Purple Haze” – The Experience’s second U.S. single, to be released the very next day – leads up to the climax of the entire Monterey International Pop Festival. Eric Burdon recalls having seen Hendrix in his motel on the day before The Experience played Monterey, on his knees carefully painting flowers and ornate imagery on a red Stratocaster. It is this doomed guitar that Jimi turns to now. “It’s so groovy to come back here this way and really get a chance to really play,” Jimi says of his return to the United States. He tries to explain how he feels and what the weekend has meant to him, but then steps back to let his music speak for him. The last words of the song have been sung, and to this point Hendrix has run through every trick in the book, physically and musically. But even after singing this last verse while playing the guitar behind his back, Jimi still has something up his sleeve. 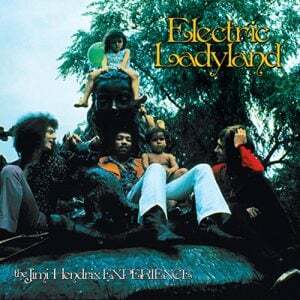 Hendrix attacks his Marshall amps, grinding the guitar against the speaker cabinets. He falls to his knees facing the crowd, the guitar now flat on the stage and issuing furious sounds of distress. Jimi ducks back to the amp, falls back to his knees, appears to spray something on the guitar, then bends to kiss the instrument. 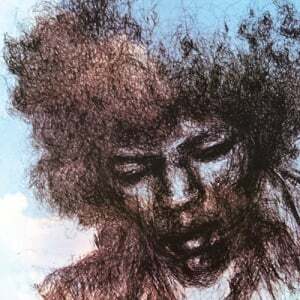 A lit match appears in Jimi’s hand, and the tiny flame arcs slowly down towards the guitar. Suddenly flames erupt from the instrument, the feedback reaches a new pitch, and every photographer at Monterey – at least those who haven’t run out of film from shooting everything Jimi has already done – begins recording rock and roll history. When the sound stops – with the now-smashed Strat’s electric screams finally silenced – the stunned audience seems equally shattered. They have been fortunate enough to witness the birth of a legend. 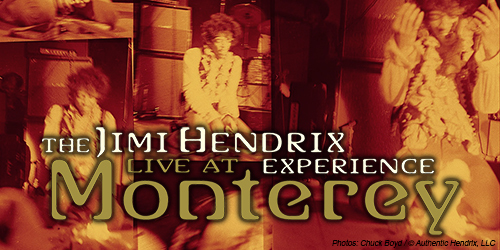 From Monterey, The Jimi Hendrix Experience moved to five nights at Bill Graham’s venue Winterland in San Francisco before heading back to the East Coast and the disastrous tour with The Monkees – all before Are You Experienced was even released in the United States. 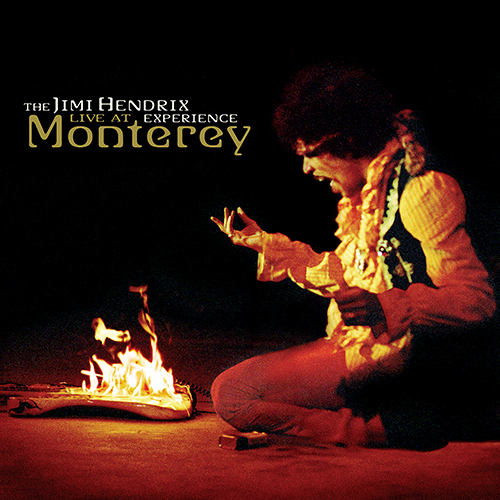 But the word about Monterey was out and spreading quickly, and The Jimi Hendrix Experience had ensured their future success in America during one single 45-minute concert.